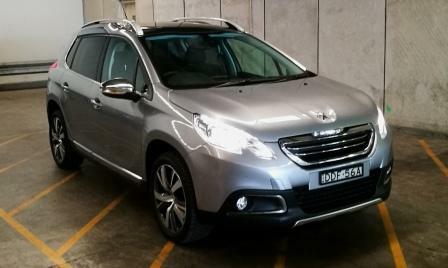 2016 Peugeot 2008 Outdoor Diesel Manual: Car Review by A Wheel Thing | | A Wheel Thing. Peugeot’s 2008 kicks off a month of French chic at A Wheel Thing, with the Citroen Picasso, Peugeot 308 GTi and the 508 sedan pencilled in as well. 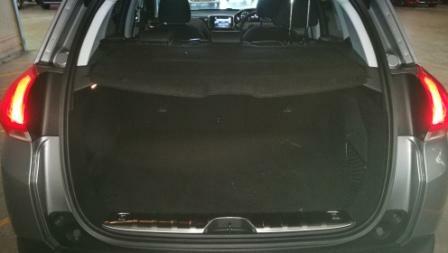 The 2008 is a small to mid sized SUV, with a diesel and an unexpected five speed manual. Unexpected in that it was a manual and unexpected in that it was “just” a five speed, not six. It’s here that mentioning it’s a three level range and the manual is the TOP of the range (the other two are the Active and Allure) puts this into a different perspective. Power from the 1.6 litre capacity engine isn’t bad, at 68 kilowatts, but there’s a wealth of torque, with 230 of them at 1750. Redline for the Outdoor starts at 4500 and it feels like that torque runs through to 4000. That’s why the surprise at just five cogs, not six, as there’s enough twist to deal with an appropriately geared extra ratio. Whatever Peugeot’s reason, you can’t fault that the five do a good job on economy. Peugeot quotes a combined figure of 4.0L per 100 kilometres and just 3.6L of the good oil for every 100 klicks out on the highway. 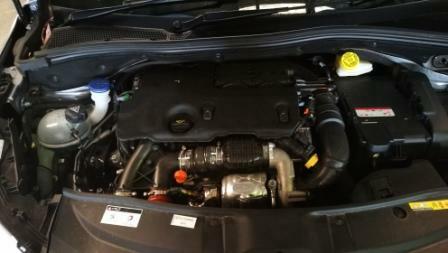 Around town, it’s still frugal, sipping 4.6L/100 km. Tank size? 50 litres, so, theoretically, Sydney to Melbourne or Sydney to Brisbane on a tank and then some. It’s also very refined, with barely a chatter under load and almost imperceptible when not. Even when punted hard from standstill, the characteristic noise expected was muted. It’ll pull nicely, with those five ratios well spread and matched with a well balanced clutch & pick up point, offers the driver a joyful experience. But if you’re expecting a rocketship, forget it, as an 11.5 second run to the century is….leisurely, at best. The 2008 Outdoor also rides, as you’d expect, pretty well and handles, as you’d expect, pretty well. There is a notable measure of understeer, as if the steering rack ratio needs some tightening up It’s also slightly numb on centre and never feels as if the turn you do is quite enough to pull the nose around as tight as you expect. As a package it’s liveable with, as it’s firm without being excessively taut, compliant without excessive softness and barrels over the usual speedhumps and bumps with only minimal intrusion, thanks to a torsion bar rear and Macpherson strut front. It’s not a terrible place to be either, inside the 2008 Outdoor. It’s a mostly ergonomic dash but the dials placed above the rim of the tiller takes some getting used to. The overall look is of high quality, easy to use buttons, plus a lack of reflection of the plastic in the windscreen is a pleasant bonus. 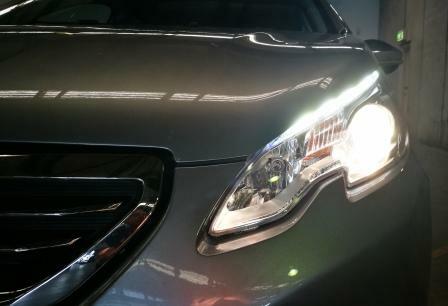 There’s some silver/chrome trim that does catch the sun and reflect into eyes to deal with however. 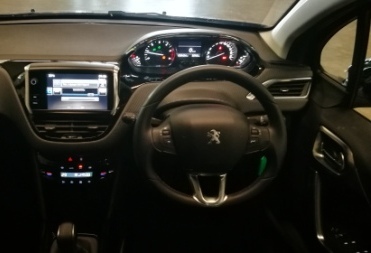 The dash design itself is a smooth curve, both into the binnacle directly ahead of the driver and to the downwards curve of the centre console housing the touchscreen (housing DAB, satnav and music streaming), centre vents, and aircon controls. 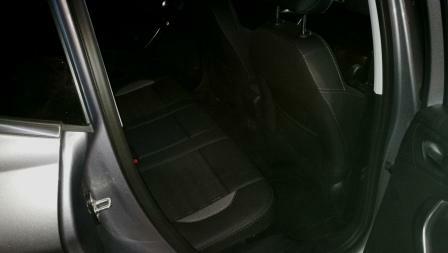 You’ll also get a dial to change the drive settings, such as Snow, Mud, and Sand, a system Peugeot calls Grip Control. The seats were suberb to sit in; a mix of leather (soft, supple, real leather) and cloth for the centre of the squab and backrest meant that a need for heating wasn’t as crucial as a need for ventilation. That appears to be something found across the Peugeot cars tested (more on those separately) and it certainly makes for a comfy office to be in. Having a thick, chunky, feel to the steering wheel didn’t go astray either. There’s also blue LED lighting in the surrounds for the sunroof and for the dash; it looks good, adds class and isn’t distracting. There’s also plenty of room for rear seat passengers and more than enough cargo space for a four member family, ranging from 410 to 1400 litres. Outside, the 2008 is a svelte looking beastie. 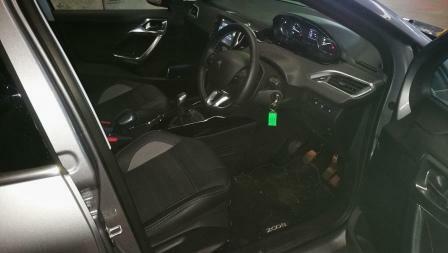 Sitting in a size range above the 4008 (which is based on the Mitsubishi ASX platform) it looks more compact that the interior space would have you believe. It’s just 4159 mm long, would you believe, but manages to cram in a 2537 mm wheelbase, meaning there is plenty of interior space. It’s curvy, with few hard edges, but does sport shark fin line design features into the headlights and a similar motif into the rear. A steeply rising window line follows the crease from the front wheel arch through to the tail lights, providing a definitive visual balance to a good looking profile. Rubber is Goodyear 205/50/17 and they’re some good looking alloys, just quietly. You’re covered when it comes to safety, with front, side and curtain airbags, the usual suite of electronic driver assistance aids, cornering front lamps and Hill Assist, which locks the brakes momentarily when you’re on a slope and the engine’s running. 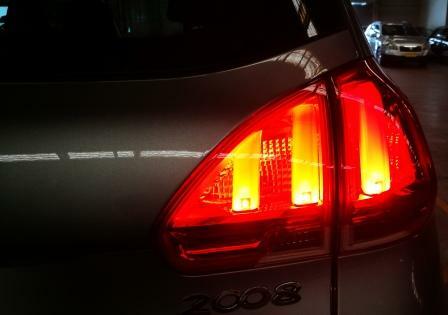 In regards to the body, Peugeot offers a 12 year anti perforation corrosion warranty, 24 hour road side assist, capped price servicing and that’s every 12 months or 15000 kilometres. Warranty? Three years or 100000 kilometres. 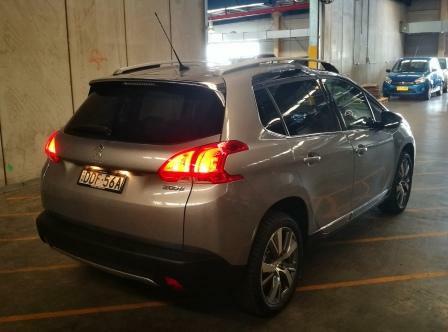 At the time of writing (November, 2016) Peugeot Australia was offering the 2008 Outdoor at a wonderful driveaway price of $30990, a savings of $6000 from the normal driveaway of $37K. Given Australia’s seeming obsession with SUVs, this is one that slides under the radar yet deserves a better look. Head to Peugeot Australia for more information. 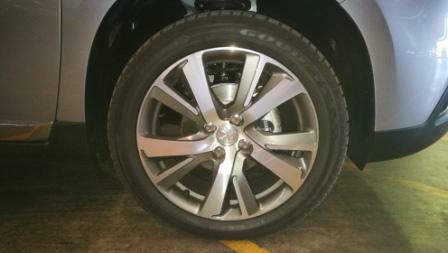 Be the first to comment on "2016 Peugeot 2008 Outdoor Diesel Manual: Car Review by A Wheel Thing"